Improve throttle response, horsepower and torque. Heat resistant matte black finish. 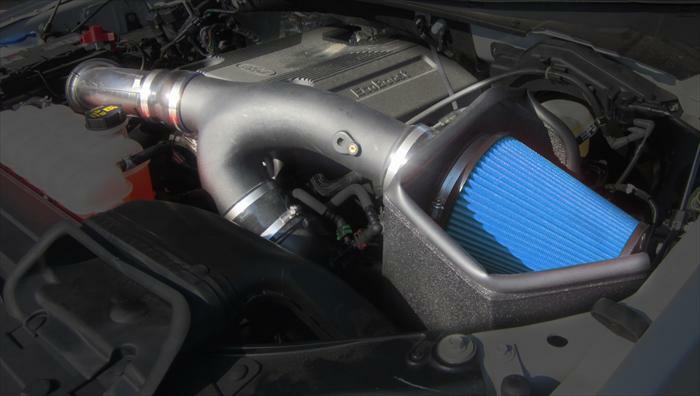 CORSA Performance APEX Series Intake Systems are a great addition to your vehicle. Corsa Intakes offer a free-flowing high performance alternative to your restrictive stock intake, resulting in improved air flow and higher horsepower and torque. Featuring Corsa's unique Dynamic Flow Technology, CORSA engineers designed air ducts to maximize air delivery and velocity without the need for a custom tune or a check engine light. Corsa Intakes are a true bolt on enhancement to your vehicle. APEX Series intakes are finished with a durable black wrinkle coat to enhance the appearance of any engine bay. 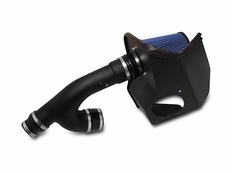 This APEX Series intake is matched with an oversized MaxFlow 5 layer oiled media air filter to maximize air flow. The part number for this item is 619735-O and it fits 2017-2019 Ford F-150 + Raptor 3.5 Turbo models.